Prime Minister Rugunda greets Matshushito in Gulu. David Okema. 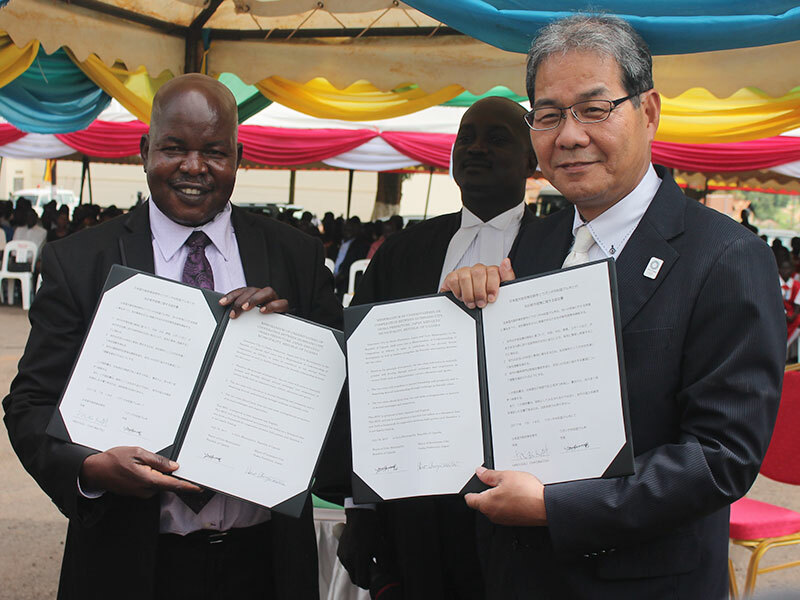 GULU– The Japanese city of Izumisano has reached an agreement with Gulu Municipality that will see the two parties work to prosper through mutual exchanges and cooperation in various fields such as administration culture, education and sport. The memorandum of understanding, signed in Gulu on Tuesday, will also contribute to mutual friendship and prosperity and to deepening mutual understanding through exchange as friendly cities. 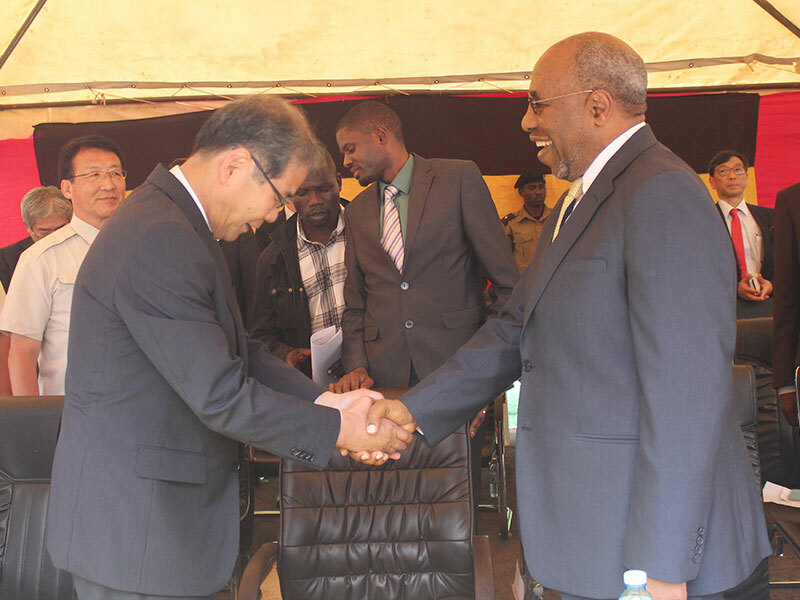 Prime Minister Ruhakana Rugunda, who was the chief guest to witness the signing of the agreement between Gulu Municipal mayor George Labeja and Yoshisiko Matsushita, vice mayor Izumisano city, said it was a good practice that lays foundation for more development-oriented exchanges. “It is a good practice for our cities and municipalities to share and build relationship with cities and municipalities in the Europe, Asia, Australia, America because it enhance them to share experiences and learn from each other for mutual benefit,” the premier said. He noted that japan has been helping Uganda in many programmes in building roads, fish ponds in Kampala, building bridge across the River Nile and that these imply that the East Asian superpower is sharing its modern ways of building infrastructure with Uganda for mutual benefits. He confirmed that Government of Uganda fully endorsed the bilateral cooperation between Izumisano city and Gulu Municipality. 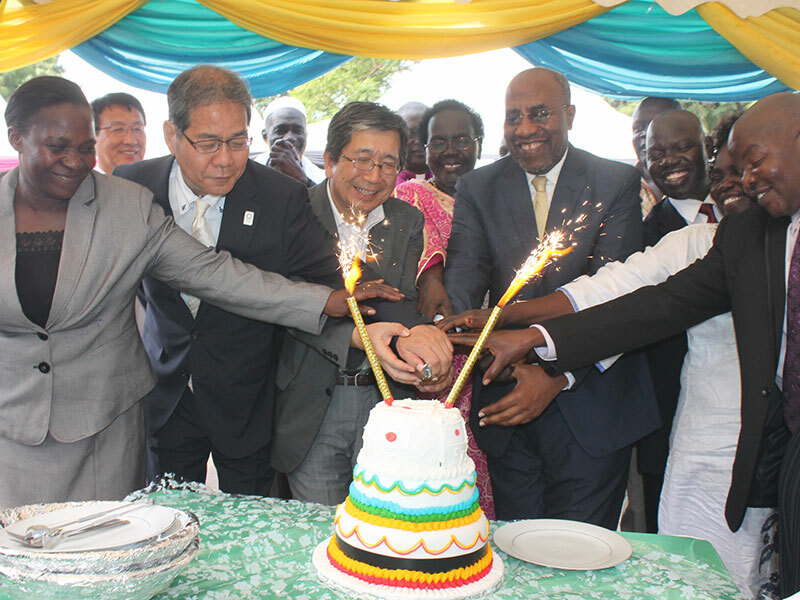 Rugunda lauded Japanese delegation, including legislator Mihala Endinajiba, who is the vice chairperson of offshore committee on Africa in the Japanese parliament, for showing high level of interest to work with Uganda, urging them to consider creating parliamentary relationship as well. “The bilateral cooperation of Japan and Uganda as well as between Izumisano city and Gulu municipality, I truly believe that will contribute immensely to the mutual trust,” Matshushita said. Labeja and Matsushita pose for picture after signing the agreement. David Okema. He commended Ugandan Ambassador to Japan, Betty Akech Okullu, for immense cooperation and hard work that led to the agreements. The relationship was started when two Japanese started buying high quality cotton from farmer under West Acholi Cooperative Union Cotton a few years ago. State minister for local government, Jennifer Namuyangu, said the mutual cooperation between Izumisano city and Gulu Municipality will build the capacity of Mmunicipal leaders to prepare them for the city status.